GARDEN CITY, NY – Former New York Yankees shortstop Bucky Dent will appear on Wednesday, May 11, 2016 at the Steiner Sports autograph signing event. Bucky Dent is scheduled to meet and greet fans and sign autographs and memorabilia from 6:30 p.m. to 8:00 p.m. at the Steiner Sports Store, Roosevelt Field Mall in Garden City, NY 11530. For more information, click here. 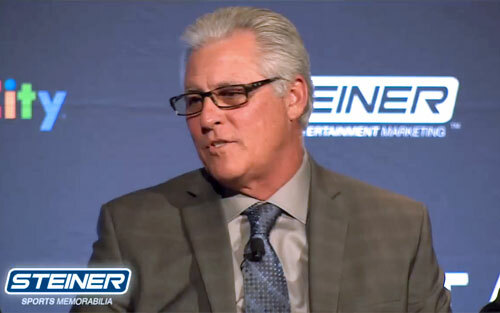 Bucky Dent is a former American Major League Baseball player and manager. He earned two World Series rings as the starting shortstop for the New York Yankees in 1977 and 1978, and was voted the World Series MVP in 1978. He is most famous for his home run in a tie-breaker game against the Boston Red Sox at the end of the 1978 season.